Pokemon Go is not the first AR game app where the public seek to collect hidden characters. 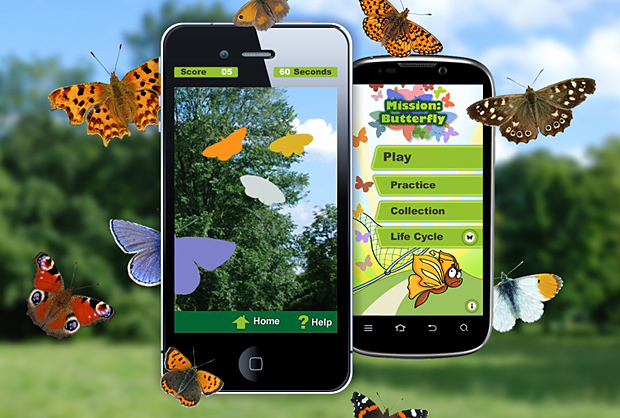 A few years back we developed ‘Mission:Butterfly‘ for Caerphilly Borough County Council. The app uses a combination of ordinary technologies built into smartphones, including location tracking and cameras, to encourage people to explore a nature reserve, seeking collectible characters that they try to nab. Sounds familiar? This game has many functional comparisons with Pokemon Go, but it goes to show it usually needs something rather momentus to push a concept mainstream. Augmented Reality has been found for some time now and we will no doubt see lots of variants of Pokemon Go in the coming months/years.